Must be clean and in 100% working order. Must have all knobs, trays, burners, shelves, etc. Please include owners’ manuals if you have them, as they add value to your donation. Dishwashers need to be manufactured after 2012 and not have rust. We accept cabinets for kitchens and bathrooms. They can be the whole set or individual cabinets. We also accept medicine cabinets and countertops. We accept ceiling fans if they are complete and in working condition. We accept doors if they are in good condition. They must not have holes, cracks, rot, etc. It is best to have the door knobs removed and bagged to sell separately. We accept electrical parts, wire, plugs, plates and the hardware associated with electrical wiring. We will accept carpeting if it does not have stains or worn areas. We do not accept shag carpet. We will accept vinyl, tile, hardwood and laminate flooring. We accept hardware for doors, cabinets, etc. Almost all types, if it’s not rusty. We accept most light fixtures in working condition. No fluorescent bulbs or fixtures. We accept full and half sheets of plywood and sheetrock. We accept full lengths of lumber. We will accept trim in smaller pieces, but not less than 4 feet long. No rot or nails sticking out of lumber. Mirrors are accepted, if certain conditions apply. Please call prior to donating these items: 605-330-1950. We accept 4 feet and over of any type of pipe, and all supplies and fittings. We accept tubs, sinks and showers if they are in good condition and clean. No cast iron. We accept toilets only if they are in working condition and are the low flush (1.6 gallon) type. They must be very clean! We will not take a dirty toilet under any circumstances. We accept most roofing material donations on a case by case basis. Shingles must be bundled in complete packages. Metal roofing, guttering, soffit, etc. should be in full lengths if possible. We will not accept rusty, bent or damaged pieces. Lawn and garden equipment, as well as power tools, that must be in 100% working condition and include all parts /pieces. We accept double pane windows of all types if the glass is intact. Most windows will show use, even if they are newer. If they are casement type, we appreciate having the hardware and cranks. No sashes please! Please call before bringing them to the ReStore: 605-330-1950. We accept curtains and window coverings. 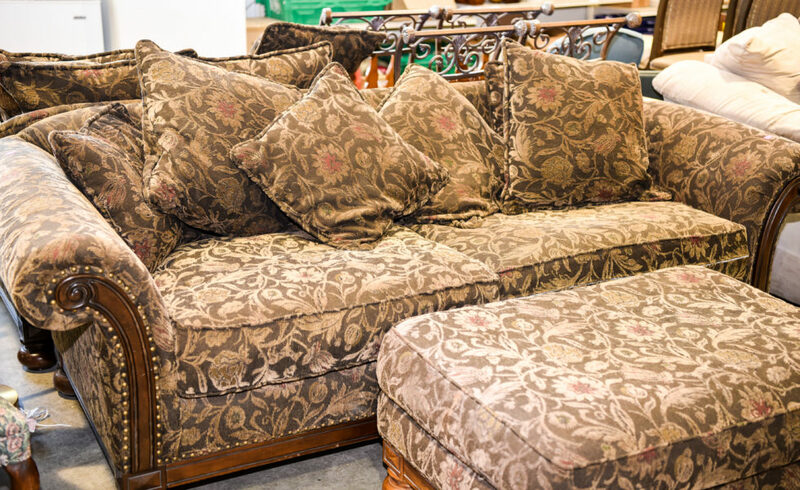 Sign-up for our daily email that showcases some of the best deals and items that come through the ReStore.